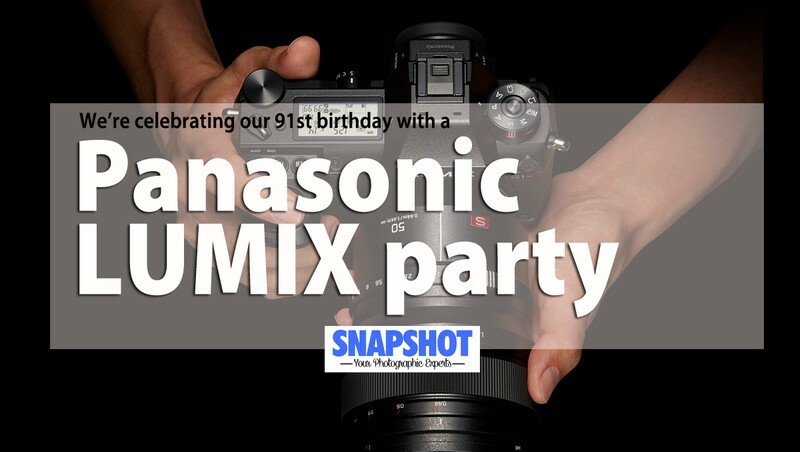 We're celebrating our 91st birthday with a Panasonic Lumix Party and you're all welcome! We're honoured to have Andrew Reid, photo product manager for Panasonic NZ Ltd, as our guest of honour. Andrew has been with Panasonic for many many years and always amazes us with his knowledge and passion for the Panasonic Lumix range. But the real stars of the party are the new Lumix S1 & S1R full frame mirrorless cameras which will be on hand for you to try - along with the new L-mount lenses. This is also a great opportunity to find out more about Panasonics 4/3 interchangeable lens system or the Lumix TZ compact cameras with one inch type sensors. Nibbles and drinks will be provided so please RSVP if you would like to join us so we have enough refreshments. We will have Party Pricing on all Panasonic Lumix cameras in stock for our party guests. Panasonic also have up to $150 cash back on selected models this month.